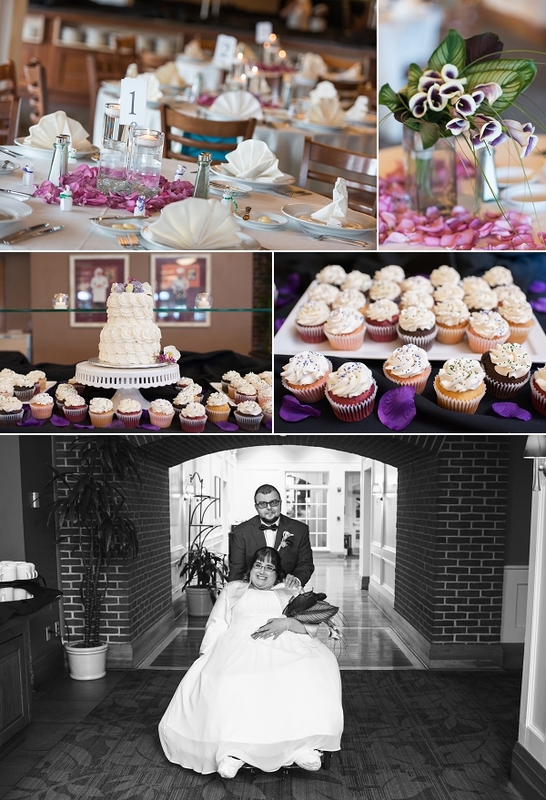 On a perfect spring day at the Nationwide Hotel and Conference Center in Northern Columbus, OH, the stage was set for this beautiful wedding and reception which took place in the hotel’s Edgewater room. The room was flooded with natural light from its floor to ceiling windows and live music from a flute and string duo. 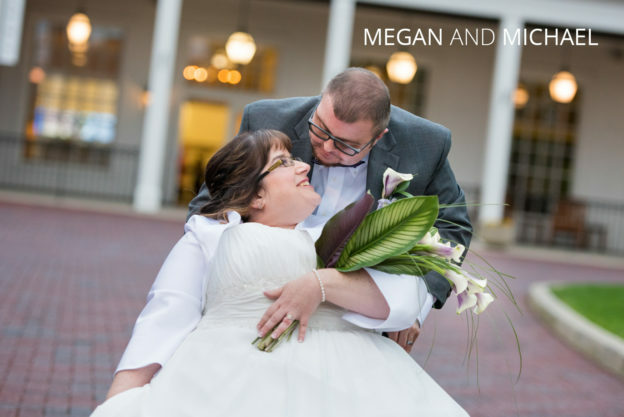 Megan’s parents walked her down the isle for a breathtaking and emotional entrance. Megan and Michael are probably the most in-love couple I’ve ever seen. Just to see them look at each-other you’d think they’d just met. I go to a lot of ceremonies so it’s pretty rare I get choked up, but even I was a little teary eyed when they exchanged their heartfelt vows. And I wasn’t the only one! 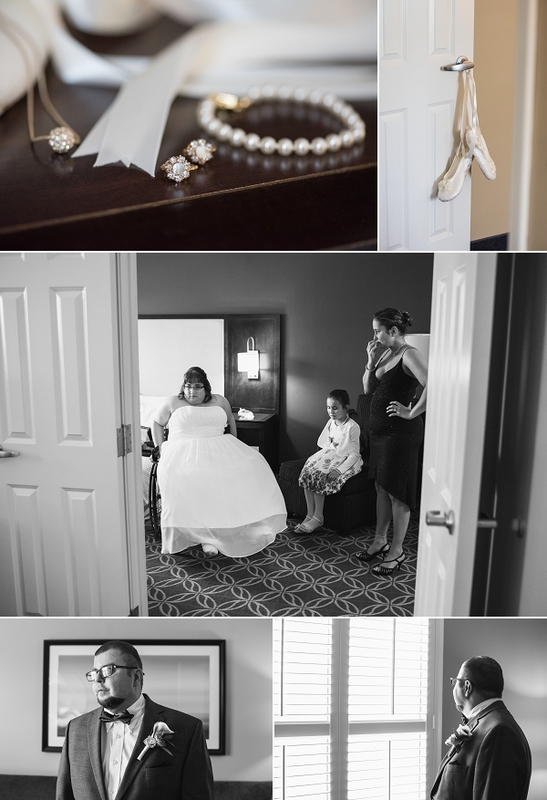 As you can see from the photos below, the whole place was crying. It was such an authentic and beautiful thing to witness. Megan’s florals were jaw-dropping. 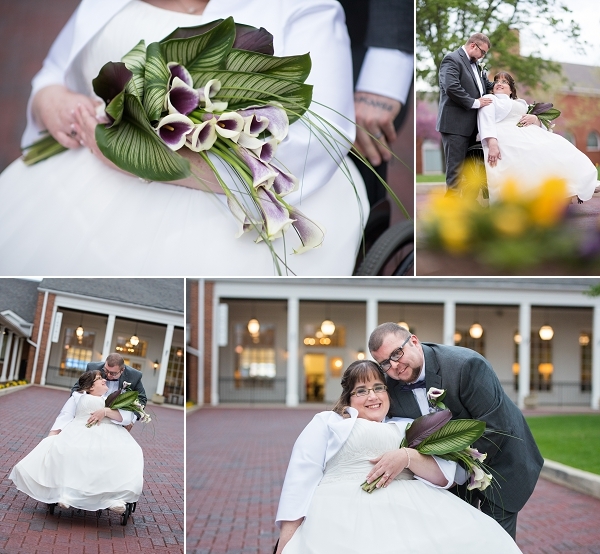 Madison House Designs really outdid themselves with her exotic white and purple Calla Lily bouquet. Purple rose petals and candles adorned each table at the reception. Deserts were provided by Our Cupcakery and I can attest to not only their beauty, but also deliciousness. I am, for all intensive purposes, an amateur dessert taster on the weekends.